The paths of material selection are related to design history. 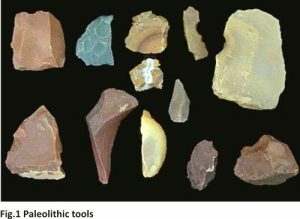 In the very beginning of existence, the most important materials used in utensils and objects were wood, stone, bone, shells and animal skin. With the “Neolithic revolution”, man starts building objects using other materials such as vegetable fibers, wool and clay. 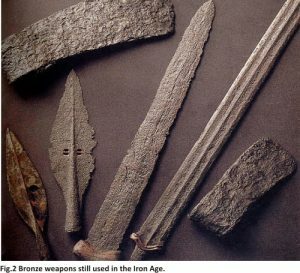 Subsequently, the used of the first metals like cooper, bronze and iron, catalyzes a significant evolution in the objects shapes. Many developments have taken place with metals, ceramics, glass and related technologies. During a long period of our history these were the materials most used by mankind. With the Industrial Revolution, the number of available materials has increased significantly, later in 1851 during the Great International Exhibition of Art and Industry in London, Have been used safely large glass windows. Are also widely used different types of steel alloys and wrought iron in the building structures and urban furniture. In 1870 it was possible to use the first polymeric material, celluloid, and the first decade of the twentieth century, the Bakelite was the first polymer to be produced industrially. The introduction of new materials has influenced the design of radios, watches, telephones and other objects. During and after the World War II, the diversity of polymers enabled major technological innovations. The chairs are also a good example of the evolution of design and concepts with the use of new materials and processes. After Michael Thonet and other designers in Austria of 1900s, also in Holland with the movement De Stijl; the will of the Bauhaus founders has allowed a large-scale production of furniture, metal, leather, glass and wood. The history of design shows that there is a relationship between the new art and design movements, and the use of new materials and technologies. Adding to the previous examples, we have others, for instance, Art Nouveau with the use of melted bronze, forged irons, and glass; the Styling is associated with the use of steel, aluminium alloys and foundry; the Pop Art movement with the use of polymers. From the 50s, the development of composite materials, polymers, aluminum alloys and associated processes have provided new ways for designers. A mature stage of shapes along with consistent materials technology, gave place to new concepts. More recently, the discovery of new materials caused the production of new objects. Such was the case of high purity silicone, which made possible the creation of transistors; high purity glass, which enabled the creation of optical fibre; new shape memory alloys; high coercive force magnets, which made possible the production of mobile phones, and currently the advances on the chromics materials that change color when exposed to light, temperature and electrical activation. All these developments led to smaller objects and several complex concepts, claiming environmental concerns. Today we have many information and knowledge of the properties and diversity of the materials and technologies. Michael Ashby, thinks that designers should consider all materials in the beginning of the design process in order to innovate. It’s possible to find a material never used before in a particular application. The problem is, how to select materials, knowing that they number is more than 160.000? In this context, it is relevant for the designer to stay updated, aware of the main advances on materials science and its processes. In an attempt to answer this need for knowledge, several databases and software initiatives have been created, which enable to access to the information online about a great scope of materials and processes, and this can be very useful for the designer. After four years of the selectionmaterials shutdown, I will try to recover some of the best posts and update some information. 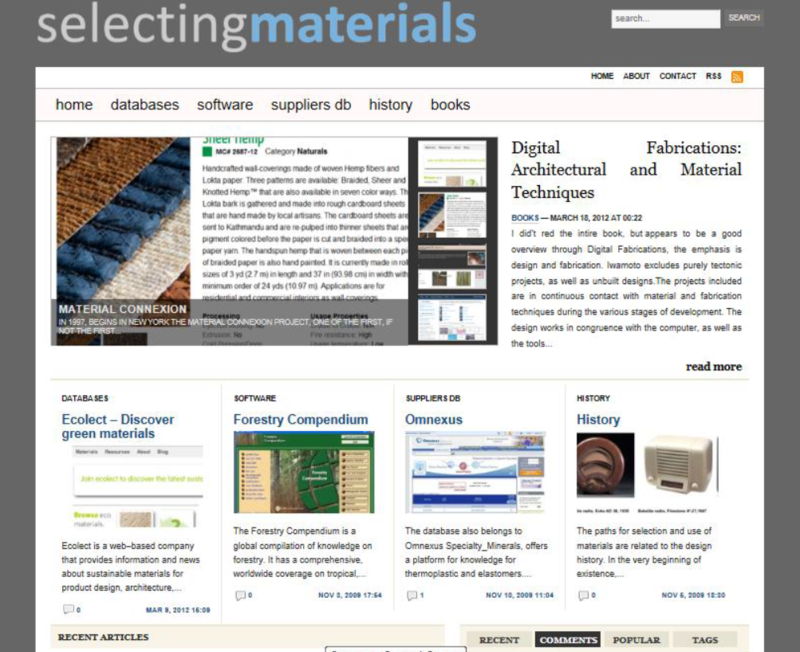 www.selectingmaterials.com, was a website that analyzed some aspects of material selection, processes, digital tools, librarys. Also study some aspects of the design history and new methodologies for materials selection. I carried out a research during my Masters studies on design and materials selection and studied the relations of selection methods within the design process. 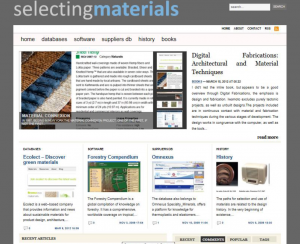 After, developed an information platform, with many data about material selection databases. Since 2008 until 2013, I developed an innovative methodology for material selection applied to a national database (www.ptmaterials.com).